CENTROID CNC controls,CNC Milling Machines,CNC Lathes,CNC Routers,5 Axis CNC Cylinder Head Porting Machines,CNC Retrofits. Digitizing, Automatic Tool Changers, Probes, CNC Rotary Tables, Conversational Programming, Auto Tool Measurement. Lathes, Routers and other special applications. 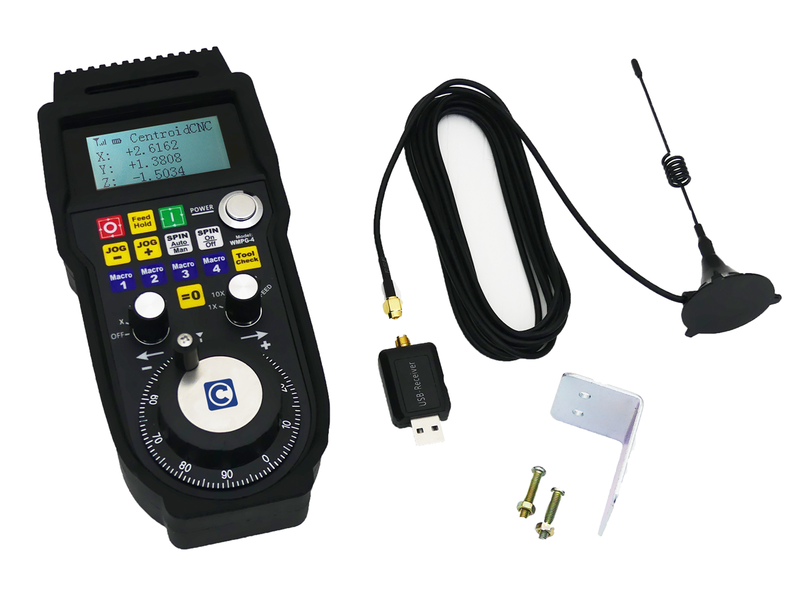 Do-It-Yourself professional grade CNC control kits. Centroid Wireless CNC Control Pendant, introductory price: $215 w/ Free shipping to USA. International shipping is calculated after purchase. Take the control to where the work is! 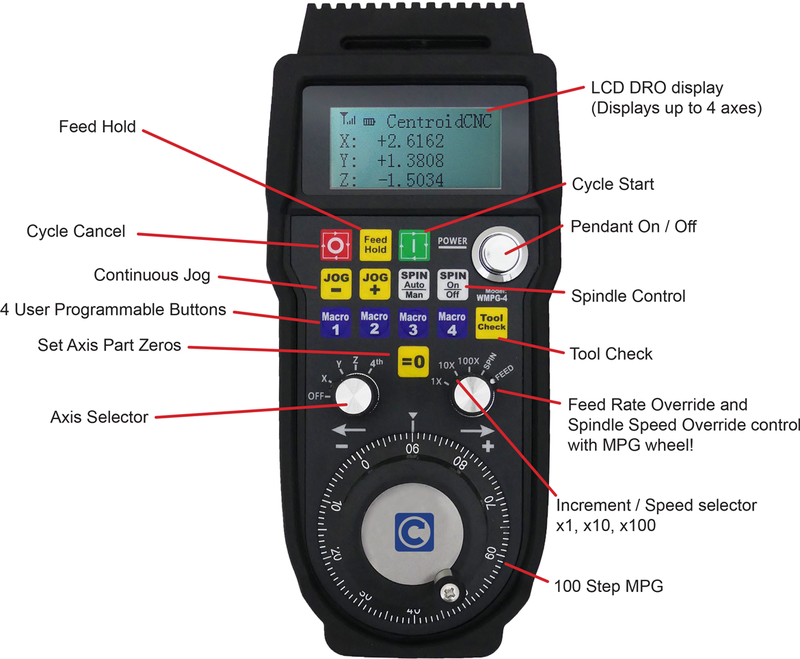 A game changing tool, the Centroid Wireless MPG handwheel CNC Control pendant allows the operator to conveniently and precisely set up jobs and tools remotely. No software or drivers to install. Plug and Play with Centroid CNC12 Pro CNC software, just plug in the included USB transmitter/receiver and start using it! Perfect for all types of Mills, Lathes, Routers and other specialty CNC machines. 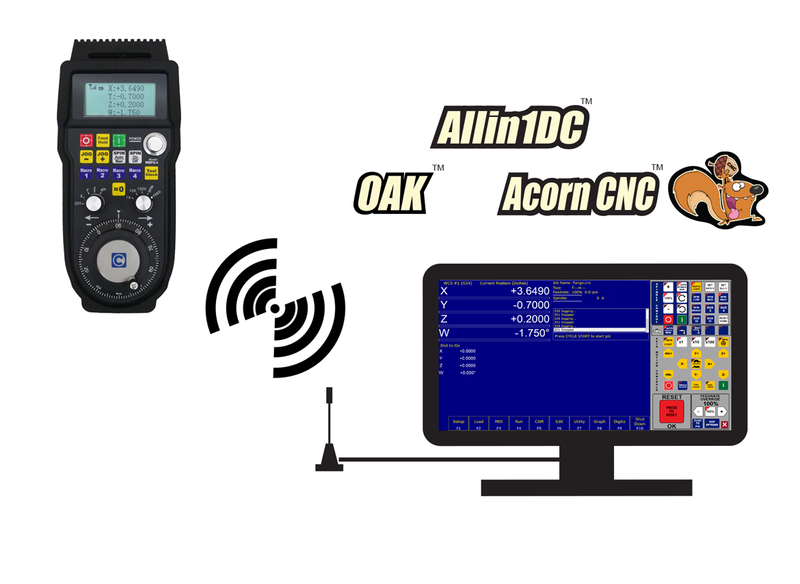 CNC PC minimum Performance Requirements. Factory CNC support via email or phone $90/hr.